Cybercriminals turn to malware-less attacks as email security solutions have improved at detecting malware. 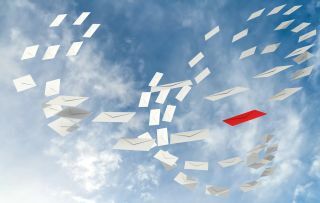 New research from the security firm FireEye has revealed that two thirds of email traffic sent during the first half of 2018 was not considered 'clean' as many emails contained malware-less attacks. The company's latest Email Threat Report also found that 1 in every 101 emails had malicious intent highlighting the recent increase in email-based threats. As email security solutions have improved at detecting malware, cybercriminals have begun to adapt their attacks and use malware-less assaults such as CEO fraud to target organisations. According to FireEye, the majority of attacks blocked (90%) during the first half of 2018 were malware-less with phishing attacks making up 81 per cent of the blocked malware-less emails. Phishing attacks will likely continue to rise while impersonation attacks (19%) remain proportional to the total number of attacks seen. FireEye also found that attack methods often correlated with the days of the week with Mondays and Wednesdays being popular days for malware-based attacks, malware-less attacks were most likely to occur on a Thursday and impersonation attacks were most likely to fall on a Friday.